Full changes as usual is available from changelog. While native way of configuring a state machine is always done via configurer and builder interfaces, this design task may become difficult to understand if you’re unable to see a “big picture”. Below state chart is from new sample which demonstrated more complex scenarios what a state machine can do. Based on Papyrus uml designer, it is relatively easy to understand what a machine does when you’re able to see it as an proper state chart. 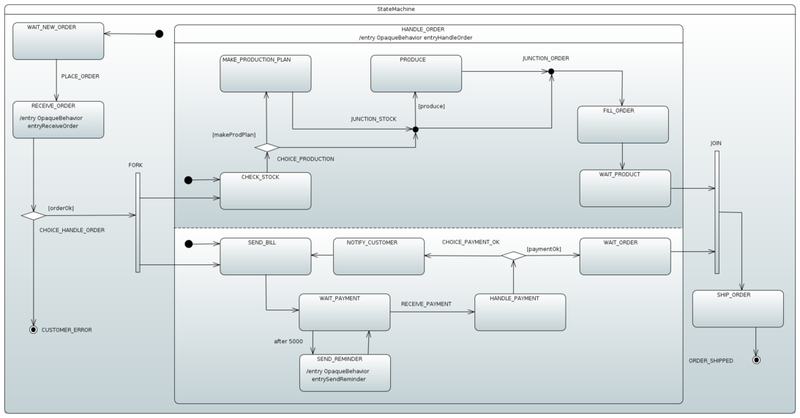 Its usage is optional but allows user to import uml model into a machine configuration.